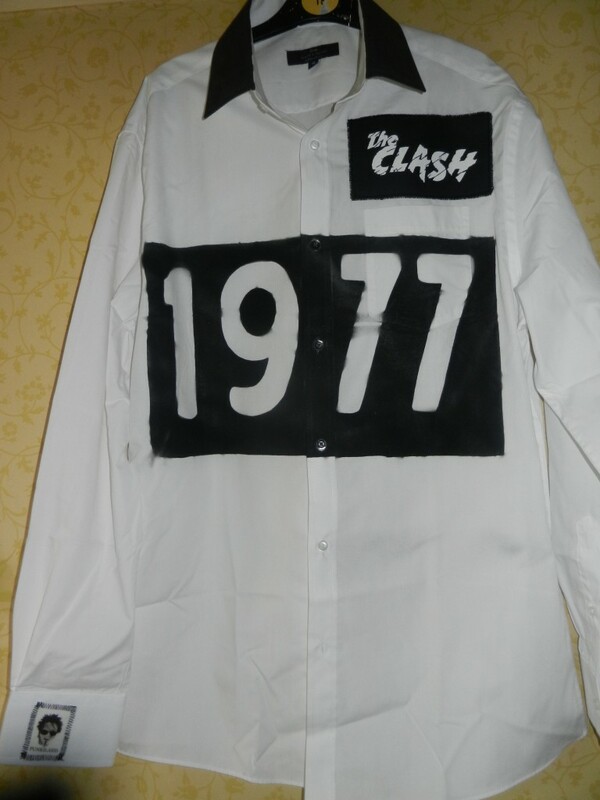 This superb shirt is simular to what Joe Strummer used to wear in the Clash early days. Ive dyed the collar to match the chest and sewn a nice clash patch on left chest with my logo on right cuff. 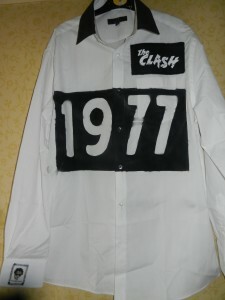 This s a very unique bespoke shirt and you will certainly stand out from the crowd at your next gig wearing it. It is size xl 17" collar.